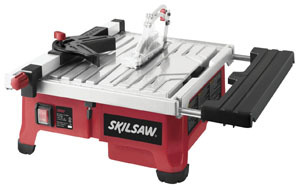 What Makes a Good Miter Saw? From basic home repairs to the never-ending honey do list, having the right equipment can make all the difference when it comes to do-it-yourself projects. Do you need to rip hard or softwood, fit joints, molding, trim or baseboards? Do you need accurate and precision cuts that fit like a glove? If so then a miter saw is the right tool for the job. This piece of equipment offers a sharp blade and powerful motor that is designed to make angled cuts with precision. Building a deck for family get togethers, a playhouse for the kids or a work bench can all benefit from the features found in a miter saw. The Miter Saws is one of the most versatile and useful tools you can have in your workshop and are a must have if you plan on doing any carpentry work or cuts beyond the straight cut. Miter Saws come with a spring-loaded blade that not only makes perfect straight cuts, but will have you mastering angles as well. We considered 24 of the top miter saws on the market and narrowed down the list to for further testing and consideration. 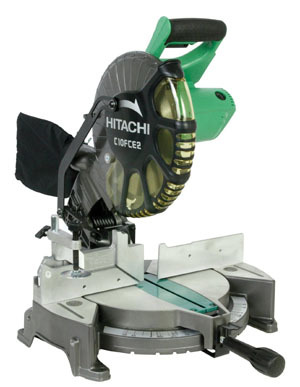 After studying and testing the top miter saws on the market the Hitachi C10FCE2 rose to the top of the competition. This compound miter has a very competitive price, is lightweight, portable and offers many features generally reserved for higher end models. The 10 inch blade can be used by hobbyist and will rip both hardwood and soft woods,cutting 4X4’s and 4X6’s with ease, making it ideal for most home uses. This miter saw has both a powerful motor and precision measurements for perfectly fitting bevels and miters. Do-it-yourselfers that want to complete home projects will use the miter saw frequently. 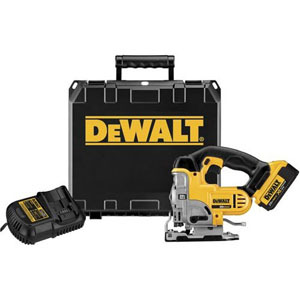 It is an essential piece of equipment for those looking to do any level of carpentry work but can also be useful for cutting various materials needed for general home repairs. If you need to make angled cuts, you need to own a miter saw. The miter saw has only been widely available since the 1970’s and was an addition to the table saw, which specialized in making straight cuts. 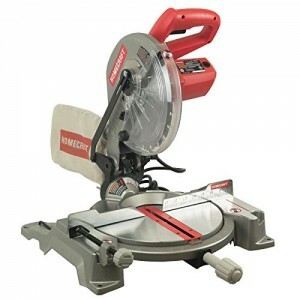 The miter saw quickly gained in popularity as it could make both straight and angled cut with a high level of accuracy. All miter saws will make basic 90 degree cross cuts. There are 4 different styles of miter saws and which one you need depends a great deal on the kinds of projects you want to take on. The basic miter saw will make crosscuts but will not make bevels cuts. This is the lightest weight, least expensive and easiest to use, but has limited capabilities. A compound miter is the most popular because it will do most of the jobs that a home owner and hobbyist needs. There are beveled options with both single and double cuts (thus a compound). There is also an increase in the ability to cut angles and most can make cuts on both the right and left side. A sliding arm miter is the best tool for those who need to make wider cuts. The movable arm extends the range of the blade for bigger jobs. This is also the most expensive option. 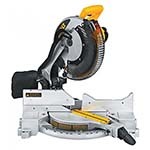 A cordless miter saw is the most portable option because it does not require access to an outlet. It has limited use based on the life of the battery. For most consumers the compound miter saw is strong enough and versatile enough to make you look like a pro and get the job done effectively. Once you have chosen the style that you need the most important feature is the ability to rip wood fast and accurately. The size of the blade is generally 8, 10 or 12 inches. The size wood the saw is able to cut will be dependent on the size of the blade and if you have the swing arm feature. If the wood is less than twice the width of the blade then you can cut the piece in two passes increasing the width the saw can cut without a more expensive tool. Other features important with miter saws include low vibration, which reduces movement of both the saw and the material for more accurate cuts.Positive stops, which provide preset angles that are most common. And fast blade changes. When working with different materials and types of wood you may need different blades to get the job done. Many users also look for a portable saw that is lighter in weight yet still with enough power to get the job done. It is much easier to take the saw to where you are working rather than constantly running to and from the workshop. After an extensive search of the web we found blogs, tool companies, other tool specialists who provided valuable information on how to choose the best miter saw and what features were most valuable. 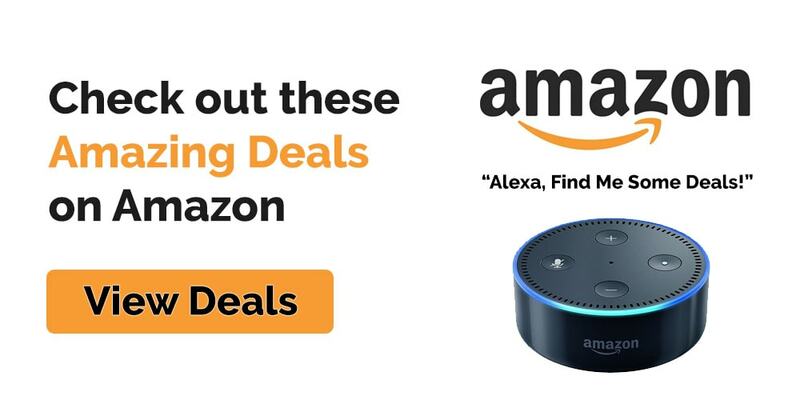 We then searched Amazon for the best features and pricing based on what was considered the most valuable to both professional and DIY homeowners. After completing testing the clear winner was the Hitachi 10 inch compound miter saw model number C10FCE2 if you do not want a laser and model number C10FCH2 with the laser. This saw is very light weight coming in at only 26.3 pounds making it one of the lightest saws in its class. The 15 amp motor is at the top end on the power scale and provides up to 5000 RPMs, giving you the ability to make cuts of both soft and hard woods without any trouble. There is very little vibration in the handle providing both steady and fast cuts. The handle has a comfortable grip and a smooth trigger. This provides for smooth starts with little or no stuttering or hesitation and reduces the need for sanding cut edges. The fence pivots providing a great guide for cuts up to 4 inches high. The miter angles go all the way to 52 degrees with the bevel angles up to 45 degrees. This provides all the flexibility and versatility you need for most home projects. The saw comes with an extender which will help keep longer pieces of material steady during the cut. The built in clamping system keeps the material in place during the cut. Blades are fast and easy to change. There are also 9 positive stops giving you preset angles for the most common uses. There is easy access to the carbon brush and a dust collector to help keep the saw clean. The Hitachi C10FCE2 competes in both power and durability with more expensive models. 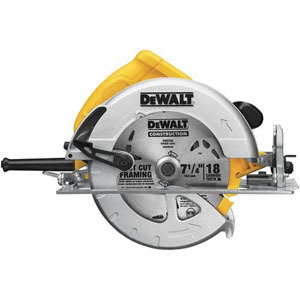 For those looking for a larger blade and cutting surface the Dewalt DW715 offers a 12 inch blade with stainless steel housing. It is a more rugged saw with additional features for larger projects. The saw comes with 11 positive stops which covers the most common cuts and provides exact angled cuts for perfect mitered and beveled fits. The fence can be used in applications up to 5 ½ inches for larger pieces of crown molding or baseboards. It weighs more at 42 pounds but is still portable for most applications. Using a miter saw, like any other power tool requires attention to detail and precautions for safe usage. When an accident could mean the loss of an appendage it is important to READ the safety manual and follow its guidelines to the letter. Always using safety goggles as sawdust will be in the air and can impede your view. Never reach towards the blade until the saw has completely stopped. If you want an extra protection some saws come with an electric brake which will stop the blade faster and reduce the chance for injury. Care and maintenance include cleaning the saw after every use and using the dust bag to catch the sawdust. Understanding that no dust bag will catch 100% of the dust, but it will reduce the amount both in the air and in the machine. By cleaning the blade and the saw after each use you will extend the life of the saw. If you hear unusual sounds, overheating or increased vibration immediately turn off the saw and clean it. If that does not correct the problem it should be serviced. When it comes to features versus price, the Hitachi C10FCE2 gets high marks in both categories. For most users it is not necessary to purchase the most expensive saw on the market to meet your needs. This miter saw will cut all the wood you need. It is a workhorse as far as power and offers all of the essential features needed for home repairs and carpentry jobs.